Islamic Authorities Seize Over 300 Bibles From Christian Group in Malaysia. - NRB.org NRB :: Islamic Authorities Seize Over 300 Bibles From Christian Group in Malaysia. 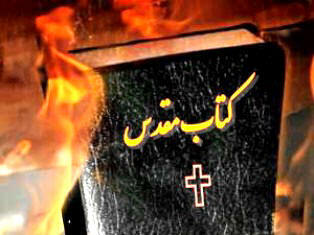 HOME > NEWSROOM > MEDIA SOURCE > Persecution > Islamic Authorities Seize Over 300 Bibles From Christian Group in Malaysia. Islamic Authorities Seize Over 300 Bibles From Christian Group in Malaysia. Authorities reportedly confiscated 321 bibles from the Bible Society of Malaysia in Selangor on Thursday and questioned two of the Christian group's officers at the local police station.